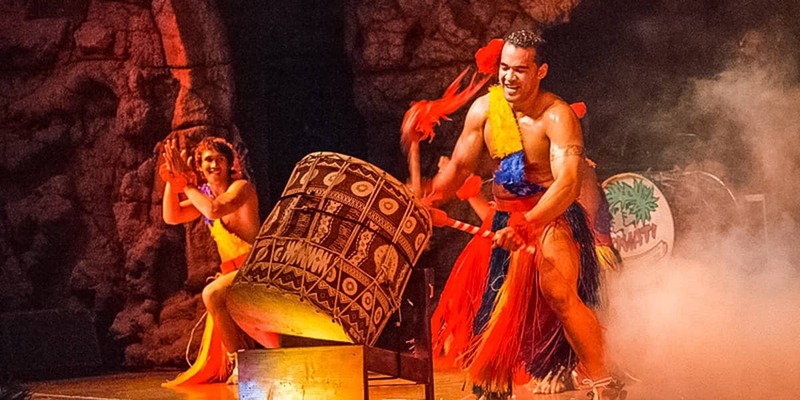 The sound of the conch, the beating of the drums, and the echoes of the Hawaiian chant signal the start of Hawaii’s most exciting Luau in Maui’s majestic Kaanapali. 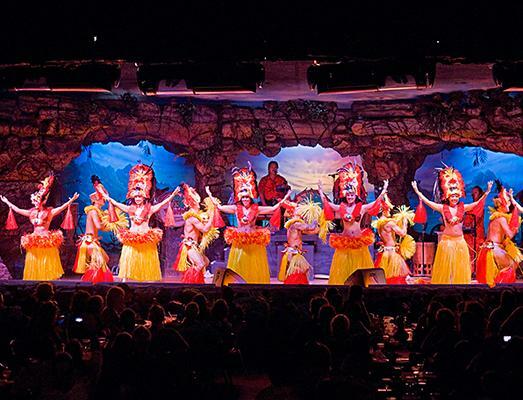 Complete with an authentic imu ceremony and the exotic flavors of native Hawaiian cuisine, come enjoy the tastes of Hawaii and our Drums of the Pacific “Polynesian Spectacular.” This Tahiti Production takes you on a journey through the islands of Polynesia, featuring authentic and exciting dances of Old Hawaii, Samoa, Fiji, New Zealand, Tahiti, Tonga, and Rarotonga, making it the hottest luau in the islands. Imu ceremony, the unveiling of the main dish – Kalua Pua’a. Kalua Pork, Huli Huli chicken, Mahi Mahi, Ulupalakua Beef, Polynesian Rice, Baked Kula Potatoes, Baked Hawaiian Sweet Potatoes, Vegetables Makamaka, Tropical Fruits Anuenue, Soba Noodles, Roasted Wedges of Maui Onions, Lomi Lomi Salmon, Pacific Ahi Poke, Tossed Green Salad, Kim Chee, and Poi (taro). 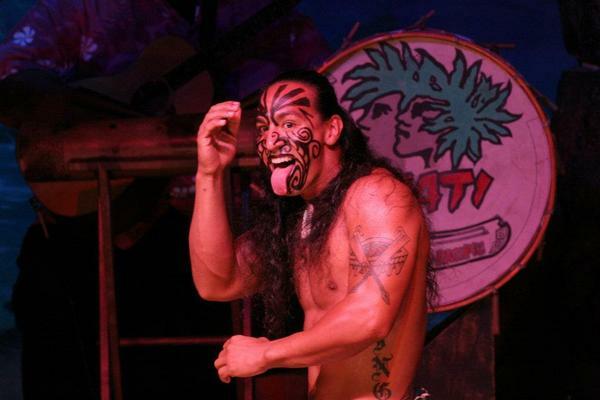 Entertainment in the Hawaiian village reception till 5:45 pm. Conch shell invitation to dinner. Orientation to the menu and the evenings events. Hula and parade of the pig. Invitation to the Hawaiian feast. Dessert Served at Your Table. Entertainment in the Hawaiian village reception till 5:15 pm. Your evening begins with Hawaiian music and audience participation featuring hula lessons, poi ball lessons, coconut tree climbing, coconut husking and finally, the imu ceremony, the unveiling of the main dish – Kalua Pua’a. 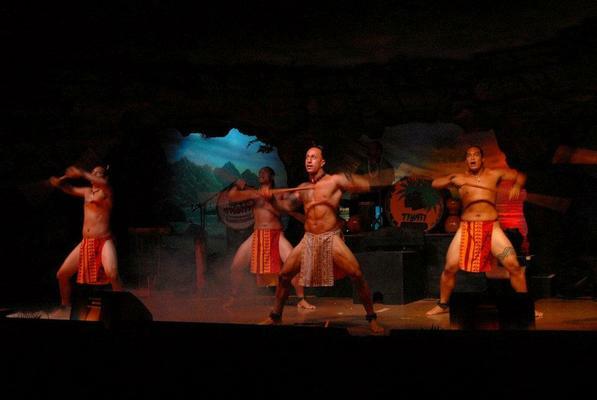 Then enjoy friendly greetings by Royal Polynesians followed by a Polynesian fashion show featuring the island’s most exotic pareaus (sarongs) in creative styles. Many of the dishes at a traditional Hawaiian lū‘au offer a blend of Hawaiian, Polynesian and Asian-influenced flavors. One thingʼs for sure… everyoneʼs taste buds are in for a real treat. Sit back and relax. 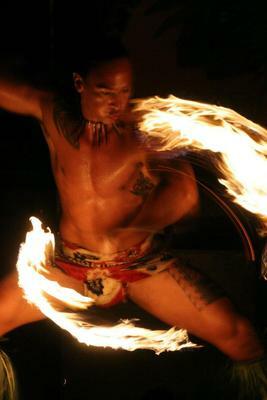 We are bringing the legends of Kāʻanapali and Polynesia to life through authentic music, hula and cuisine. Gold Circle Premium Seating gives you the chance to be more interactive with the performers and enjoy the show even closer. Grab a table for your premium Lūʻau experience!